Great buildable homesite in the desirable Driftwood Estates with no HOA! Option to join HOA at $85 per quarter post construction. A large playground, pool, deeded water access and other amenities await. This 1/2+ acre lot offers an eastern view of the Choctawhatchee Bay immediately across the street. 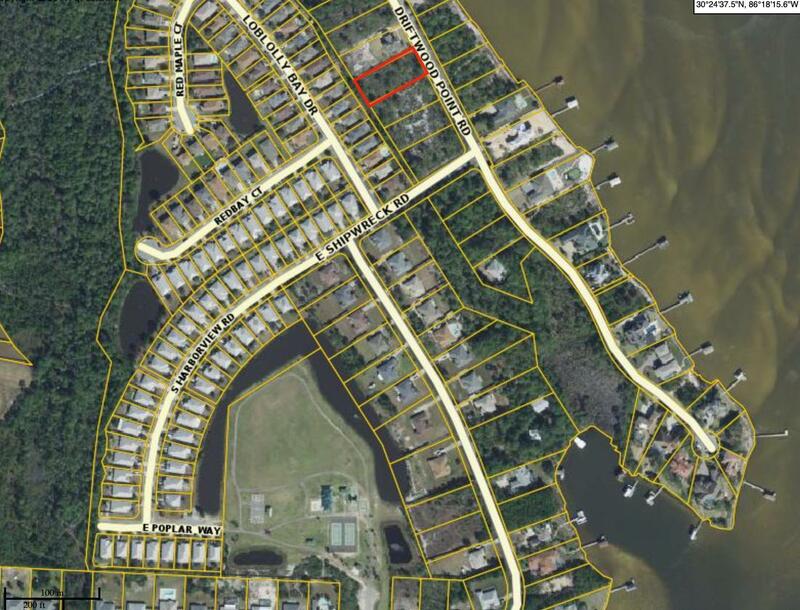 The lot is also located directly down the street from the Driftwood Estates deeded Bay access. With no HOA a detached garage or MIL suite can be built. Fishing and boating, RV storage etc will be permitted prior to HOA. The lot has plenty of room for a pool and yard for the kids! Sacred Heart Hospital, Fire Station and Grand Destin Shops and eateries are all close by and can be accessed without entering HWY 98.